There are 2 options to attach a file to a task on Hubstaff Tasks. 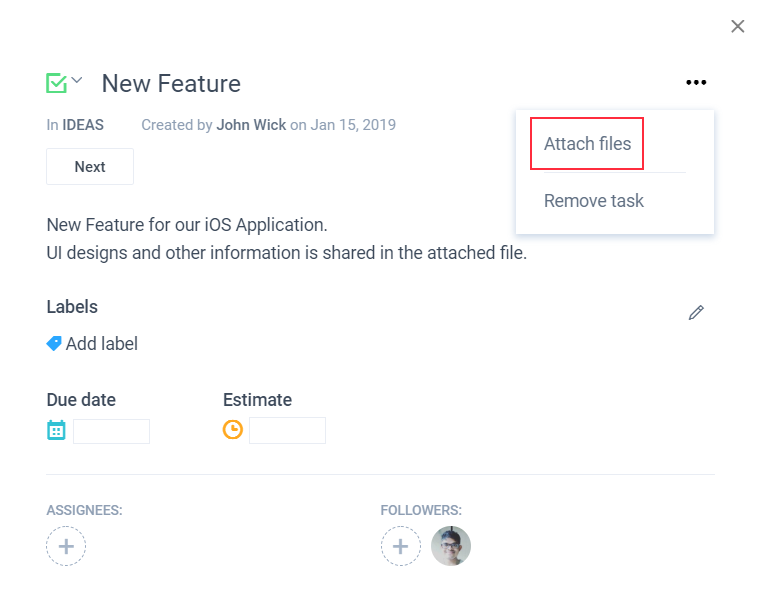 To attach files to a task, You can simply drag and drop a file on the task. You can also open the task and then press the three-dotted button located in the upper right corner of the task box to attach the file. Choose the required file and once it is uploaded successfully, click ‘Upload’. Once the file has been uploaded, you will see a notification to confirm the action. Once you have uploaded all the required files, click ‘Done’ and you will see the selected file attached to the Task. 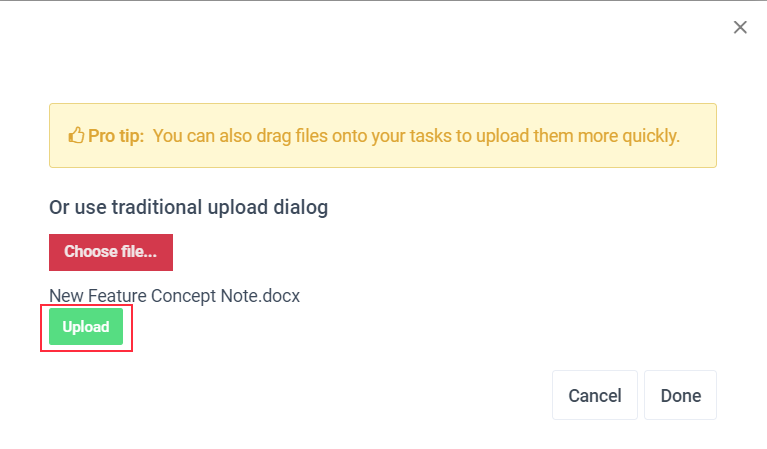 Another option to attach a file to a task is by going near the comments section and then press the attach file icon. 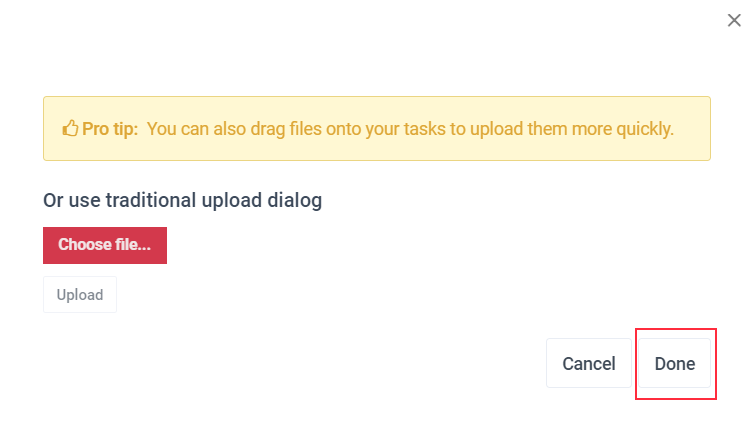 Even in this case, select the required files and click ‘upload’, and the file(s) will be attached to the task as required. How do I disable workflow for projects?